Nicholas Gill, 21, is accused of the murder of Paul Bell in Sowerby Bridge, near Halifax. He will appear at Bradford Crown Court. 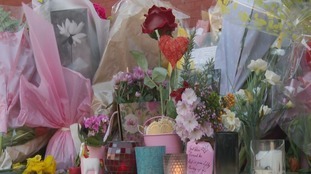 Flowers for Hull student Libby Squire are to become pot pourri. Her parents asked that the tributes be preserved. Amelia worries about her mum when she's at school. She's one of a growing number of children who care for close relatives.